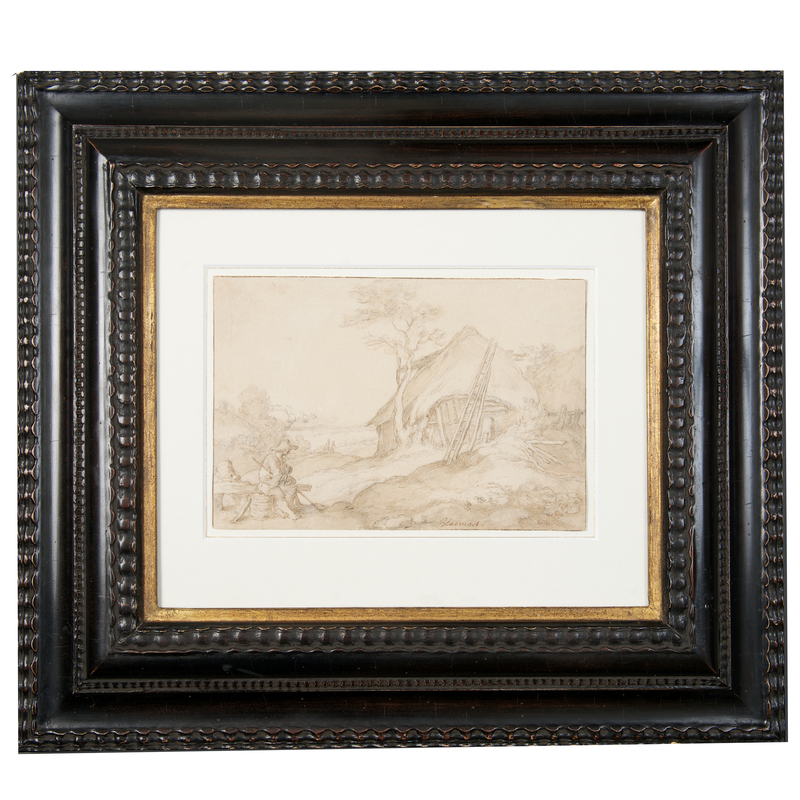 Beautiful landscape drawing made by the Utrecht painter Abraham Bloemaert (1566-1651). He was one of the most succesful and productive painters in the Netherlands around the year 1600. His studio counted many students and his paintings, drawings and prints were widespread throughout Europe. Karel van Mander, the Vasari of the Netherlands, wrote in his biography that Bloemaert used to draw the nature in the surroundings of his city Utrecht. 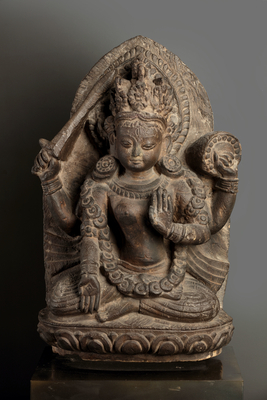 Those studies were later used as inspiration for paintings and more detailed drawings. This drawing is probably also inspired on the Utrecht landscape. 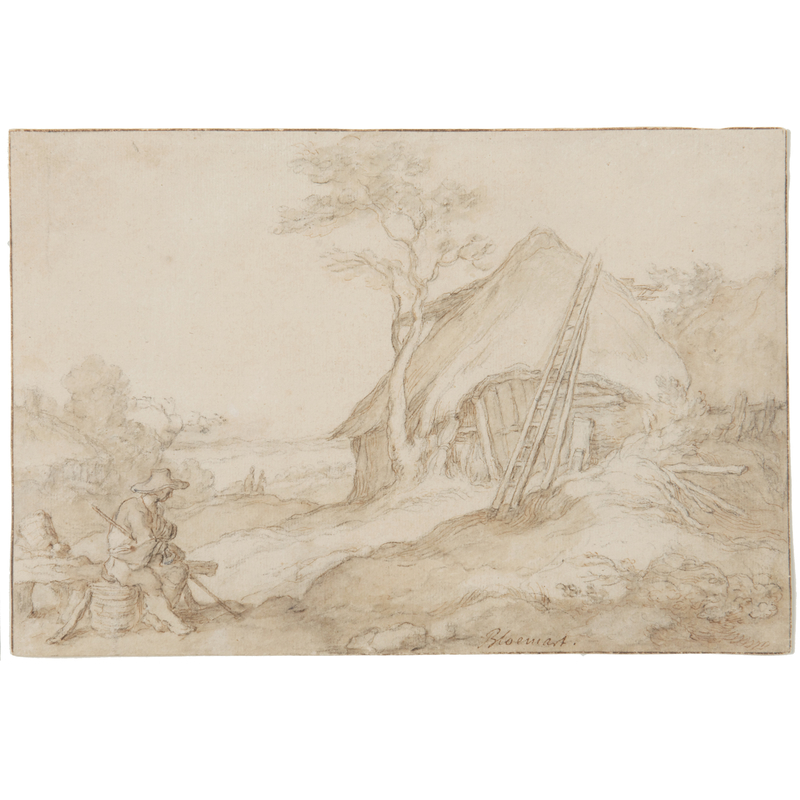 This drawing of a shepherd in a landscape fits into a series of drawings depicting landscapes. One of those is currently in the collection of the Rijksprentenkabinet Amsterdam. In 2007 Jaap Bolten published a catalogue containing 1700 drawings made by Bloemaert. This drawing was also included. 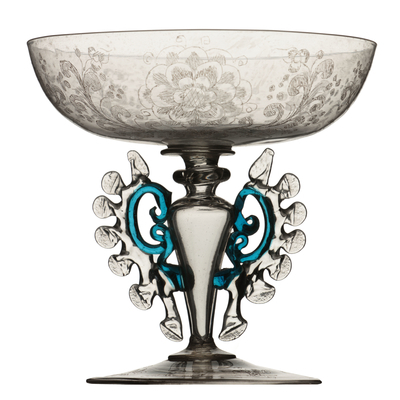 The drawings vary from studies and sketches to very detailed drawings that were used for sale. Bloemaert's sons, Frederick and Cornelis, kept the drawings very carefully. When Bloemaert died they published the 'Tekenboeck' (drawingbook) based on their father's drawings. 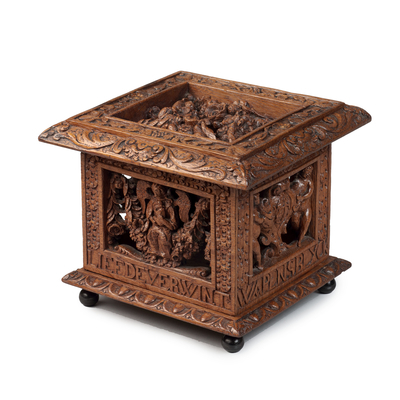 The Tekenboeck was used by artist through the whole seventeenth and eighteenth century. Because of this Bloemaerts work stayed very popular for a long time and therefore much of his work has survived.